When NATO launched the Istanbul Cooperation Initiative (ICI) in 2004 with Bahrain, Qatar, Kuwait and the United Arab Emirates (UAE), the contents and objectives of the initiative where anything but clear. The main dilemma is to identify the ‘added value’ of a NATO-Gulf security cooperation, given that key member states of the Atlantic Alliance already have important strategic and defence ties with most Gulf countries. To address such dilemma it is worth looking at the new six main areas of cooperation, between NATO and Gulf countries, introduced by the ICI. These areas include providing consultancy to undertake defence reforms, encouraging ad hoc military cooperation, combating terrorism, countering threats related to weapons of mass destruction, cooperation in border security and joint planning for civil emergencies. The ICI presents key characteristics that distinguish it from previous initiatives: The first characteristic is equality among all NATO and Gulf partner countries. The second is the focus on the specific needs of each state, along with the Alliance’s keenness to address such needs via cooperative programs. The third is the application of the principle of reciprocity to achieve a meaningful partnership for all the countries involved. The ICI, generally speaking, puts out of date the concept of ‘hard security’, which has long characterized NATO purely as a military organization especially during the Cold War period. Indeed, NATO, as clearly stated in both its founding charter and its Fifth Article, is an organization established for the defence of North America and Europe. However, the end of the Cold War era forced the Alliance to evolve to face new threats. This is why NATO launched a number of initiatives to strengthen cooperation with key partners, involving ‘hard security’ and ‘soft security’ concepts alike. NATO’s officials have acknowledged the pivotal importance of the Gulf region for the success of the Alliance’s new effort aimed at ensuring global security. During a visit to the United Arab Emirates in March 2016, NATO Secretary General, Jens Stoltenberg, said: “It is very important that the dialogue with the Gulf countries be stronger, given the growing tensions and instability in the region”. This statement was turned into reality by the cementing of the training cooperation between NATO and Gulf countries in the spirit of the Istanbul Cooperation Initiative. For instance, Kuwait has participated in about 60 NATO training courses and workshops during the 2004-2017 period. Significantly, the ICI meets many of the security needs of the Gulf countries but the developments in the Arab region since 2011 have forced the alliance to work on two parallel tracks. The first was advancing a Gulf Regional center for NATO and the Istanbul Cooperation Initiative in Kuwait on 27 January 2017. The centre organizes training courses in cyber security, crisis management, energy security, civil emergency planning and facilitates programs in partnership with Kuwait and the other ICI member states. By setting up this centre, the Alliance demonstrates its willingness to establish a permanent institutional framework to explore the partnership with the Gulf counterparts even further. 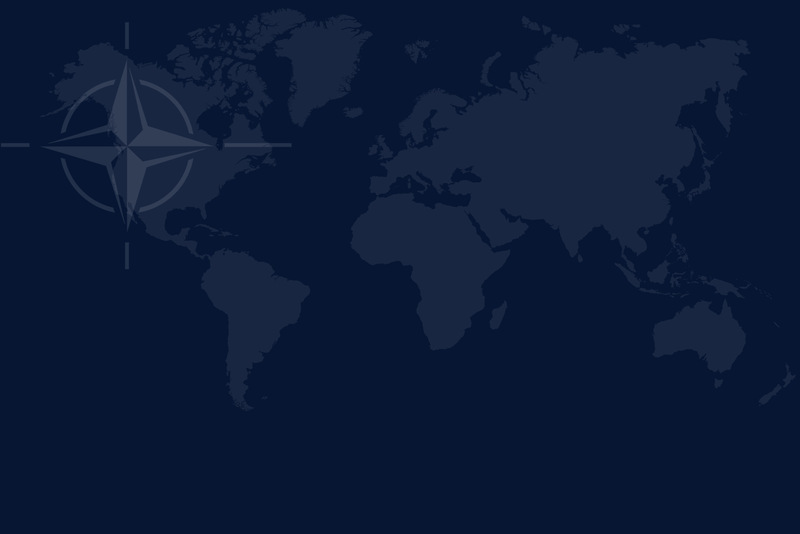 The second involved NATO’s direct engagement in addressing regional security challenges. The Alliance joined the International Alliance to fight the Islamic State in Iraq and Syria (ISIS) and was particularly effective in providing air support with E-3 Sentry AWACS (Airborne Warning and Control System) radar aircraft. NATO is also providing training to Iraq’s security forces. Such involvement reflects NATO’s ability to adapt to the nature of emerging challenges and to the needs of its partners. Combating terrorism was a key element of the 2004 Istanbul Cooperation Initiative. The points reviewed above demonstrate that NATO offers a more comprehensive security partnership compared to what an individual NATO member can provide. NATO has turned into what might be called a ‘modern military school’, from which Gulf countries can learn the Alliance’s crisis management, cyber counter-terrorism and energy security strategies. It is possible to argue that the partnership between NATO and the Arab Gulf countries will develop in the future because it is based on a common desire of both parties and because it operates in a rapidly changing regional and global environment. The present situation also presents important challenges requiring the development of common mechanisms to confront them. The main tasks are likely to include: conventional and electronic terrorism, nuclear proliferation issues and the regional power imbalance. NATO and the Gulf countries have a considerable interest in addressing all these issues to achieve the objectives of their partnership. By achieving such objectives the NATO-Gulf partnership will promote security and stability throughout the Arab Gulf region. Dr Ashraf Mohammed Kishk – Director of the Strategic and International Studies Program, Bahrain Center for Strategic, International and Energy Studies, Riffa. Antonino Occhiuto – Researcher, Euro-Gulf Information Center, Rome.